Why I do it. OutStandingInTheGarden.net is my way to express the true me, in my own words, from my own point of view. The blog is named for the simple reason, (thought of as “outstanding”) that, this is where you will find me, Alison Reynolds, Out Standing In The Garden any given free time, taking in the wonder of growing your own. I live in Southern Utah and have almost my whole life. This area is desert and the growing conditions are tough. But I am here making do with what I have and learning every day. One thing I have learned is, it can’t be done here if you can’t laugh and find things funny. I love growing just about anything, raising animals and the simple life. Organic is the only way I have grown for over 15 years and after going both directions of growing it is my love and passion. I hope to inspire all of you that just want to enjoy the moment you are in, Out Standing In The Garden. 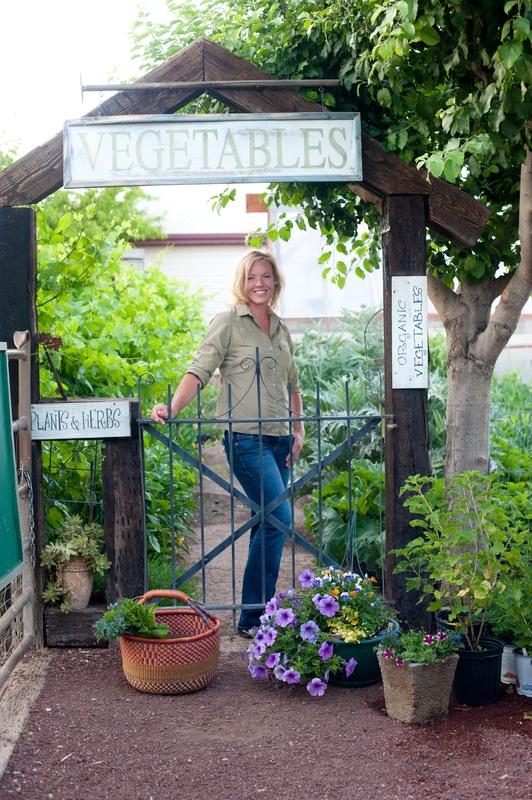 I love to come to your garden and get inspired….Thank You! Wow! Ali, what a wonderful thing you have done here! I’m overjoyed to Wow! Wonderful! …and delivered in such a rich, personal manner. Great pictures too! I have come to appreciate organic farmers-like you! Not just because you are “earthy”, but because there is such a sense of joy in what you do (& you help us novice gardeners with our problems!). I’m inspired, excited & lucky to have found your blog! It’s just about as good as your figs & your Dad’s pecans! Thanks!! Hey Ali, lots of great information. I was wondering since you live in Utah have you played with rock dust? I am learning about it myself. One of the big names is Azomite which comes from Utah. That is the reason I ask. Looking forward to getting more great info from your site. I LOVE rock dusts! I am working on my next blog today and it will be on rock dusts. Azomite is one of my favorites…. You can always trim back tomatoes, but never more than a third to keep them in check. Yes you do lose some tomatoes you may have gotten if you let them go, but sometimes you just don’t have a choice! They will send out new growth before fall and could even be healthier. If mine get to tall I drive a stake, either t-post, bamboo or just a 5 foot stake and hold the tomato to the stake, then wrap jute around everything. This seems to hold well. I do have to wrap the jute around a few more times during the season, but this keeps them tidy. Maybe it is a horrible thing to do, but I had some growing in my yard in bunches, randomly. They are beautiful for a couple weeks, but then you are mowing circles around them all summer. I mowed over them after the blooms were off. They grow back every year! Oh! You sound like my kind of gardener! I do that with many perennials that get scruffy after blooming (with a weed trimmer😳). Funny thing is, they seem to like it!